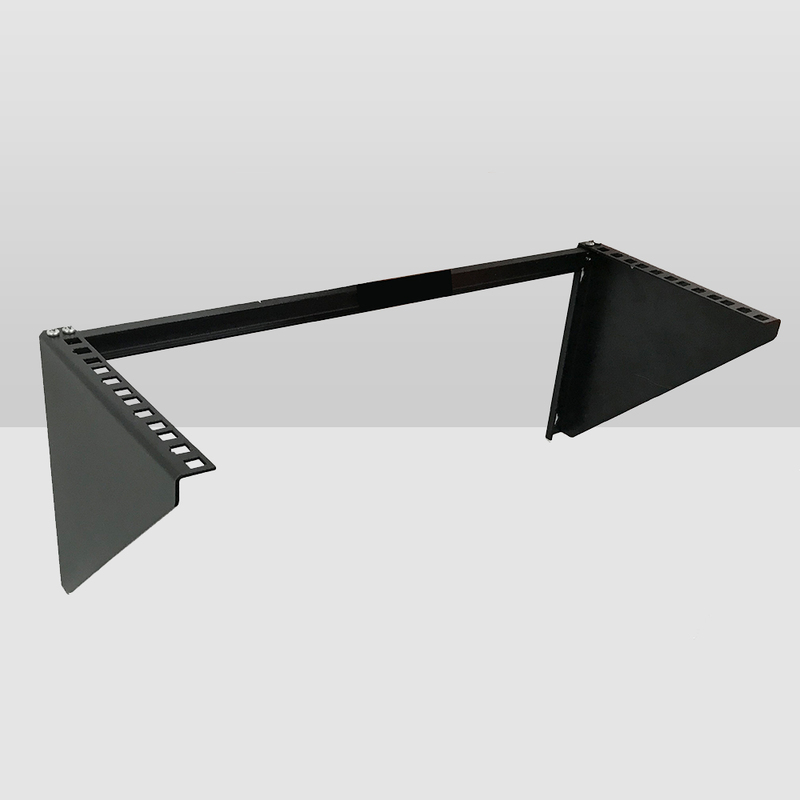 Vertical wall frame offers a versatile storage solution, allowing equipment such as network devices, power distribution rails and patch panels to be mounted vertically (flush with wall). The vertical wall frame offers space-saving installation for environments lacking the footprint space for a full size server equipment rack. It can be installed in shallow communications cabinets or under a desk for horizontal installation, provide easy access to installed equipment directly from your workplace. Other ideal applications are in small or home office, under stairway, hallway or corridor access.